You are driving while at work when suddenly your vehicle is struck in the rear by a negligent driver. You are injured, but how do you get compensation? Since this happened at work, the Florida Workers Compensation Statute is “primary” over your Florida no-fault benefits. That means Workers Compensation pays for medical bills and lost wages, instead of your own insurance. Under Workers Compensation, there are strict limits on what an injured worker can recover. The system dictates medical treatment and only pays for 2/3 of your lost wages, if you are unable to work. Even though this is a car accident, you are not entitled to PIP (personal injury protection) benefits. Finally, you cannot recover damages for pain and suffering under workers compensation. Disappointing, right? Actually, under Florida's Workers Compensation system, you lose some benefits and you gain some benefits. In exchange for losing your right to sue for damages, such as pain and suffering, you get your medical bills paid automatically. Medical bills and lost wages are covered regardless of fault. Here is the bad news: Over the last twenty years, the Florida State Legislature revised the workers compensation statute many times. Each time, the injured worker was entitled to less and less. The end result is a restrictive system that does not fully compensate an injured employee. If you are in an auto accident while working, you can file a claim in addition to your Workers Compensation claim. You may have to eventually pay back some of the Workers Comp benefits you received, but it is usually worth it in the long run! That is why it is important to understand if you are entitled to bring a lawsuit for personal injuries when you are injured on the job in the course of your employment. You could receive compensation for damages that include pain and suffering. If a third party caused your injuries, you may also file a lawsuit against that party. You are not, however, permitted to sue your employer. In most cases against an employer, you are limited to Workers Compensation benefits. Therefore, if your boss sends you on an errand during work, and you are involved in a motor vehicle accident, you can make a claim against the negligent driver of the other vehicle even though you may be covered by Workers Compensation. In fact, if you don't pursue the wrongdoer, the worker's compensation insurance carrier is entitled to file a claim on your behalf to recover what they paid you. The statute gives them the right to “subrogation” or reimbursement. If you bring a claim against a responsible third party, the workers compensation carrier can file a claim to recover benefits they paid. It's complicated stuff. If you are hurt in a car crash while you're on the job, let us help you figure it out. 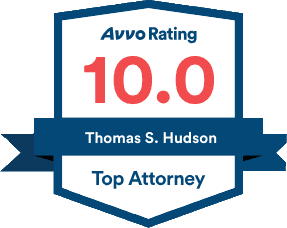 At the Hudson Law Office, we're on your side.